Ohio native Randy Haberkamp, whom The Gold Knight Blog profiled in February, has been promoted at the Academy to the newly created position of Managing Director, Programming, Education and Preservation. The Academy has also announced a number of other promotions and appointments. It is also hiring a communications managing director. 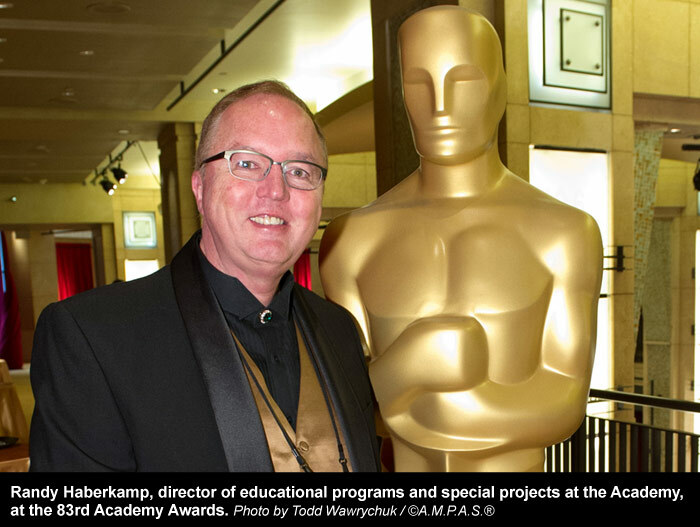 Ohio native Randy Haberkamp, whom The Gold Knight Blog profiled in February, has been promoted at the Academy to the newly created position of Managing Director, Programming, Education and Preservation. Academy COO Ric Robertson, to whom Haberkamp will directly report, announced the promotion on Wednesday. Haberkamp was previously the director of educational programs and special projects at the Academy, holding the position since 2003. During Oscar season, Haberkamp, like other Academy employees, took on other projects to help out with the nonprofit organization’s biggest revenue maker: the Oscars. 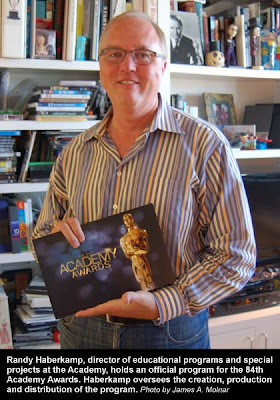 Some of his projects included the nominees’ luncheon, the Meet the Oscars exhibition and the official Academy Awards program. 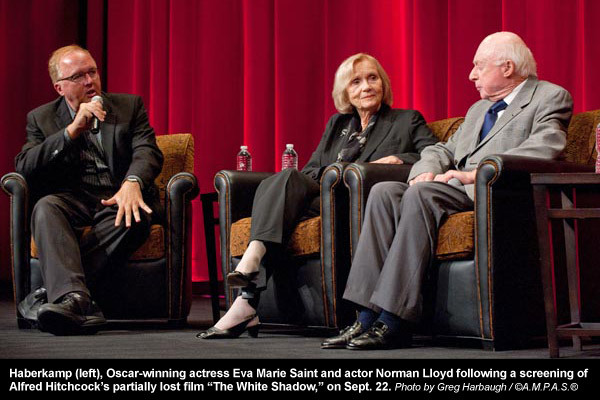 His projects also included organizing the Animated Feature Symposium and Makeup Artists and Hairstylists Symposium. "Randy’s track record of creative programming, coupled with his expertise as a film historian, makes him perfectly suited for this position," said Robertson in the press release. "His leadership will be invaluable as we continue to develop compelling programs, initiatives and events that celebrate the movies." In his new position, Haberkamp will oversee the Academy Film Archive and the Margaret Herrick Library, two leading preservation and research institutions with collections from industry icons, including Cecil B. DeMille, Alfred Hitchcock, Edith Head, Saul Bass, Katharine Hepburn, Jim Henson and Sydney Pollack. Collections also include more than 146,000 film and video assets, 80,000 screenplays and 10 million photographs. Haberkamp will also assume responsibility for the organization’s more than 100 annual public programs in Los Angeles, New York, San Francisco and London, and oversee $1 million in institutional and film festival grants, as well as the Nicholl Fellowships in Screenwriting program. Supervising a combined staff of nearly 120, Haberkamp will "coordinate strategic collaboration of departments and work in tandem with the Academy Museum of Motion Pictures development team." 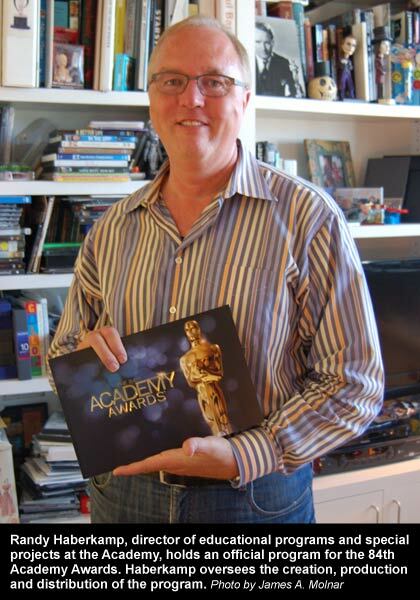 In 2001, a job opened at the Academy for film programming; Haberkamp applied. “I was lucky enough to get the job and have been here for 10 years now,” he said of the Academy, during an interview in January with The Gold Knight. When the new year begins, it is “a very busy time” for Haberkamp. 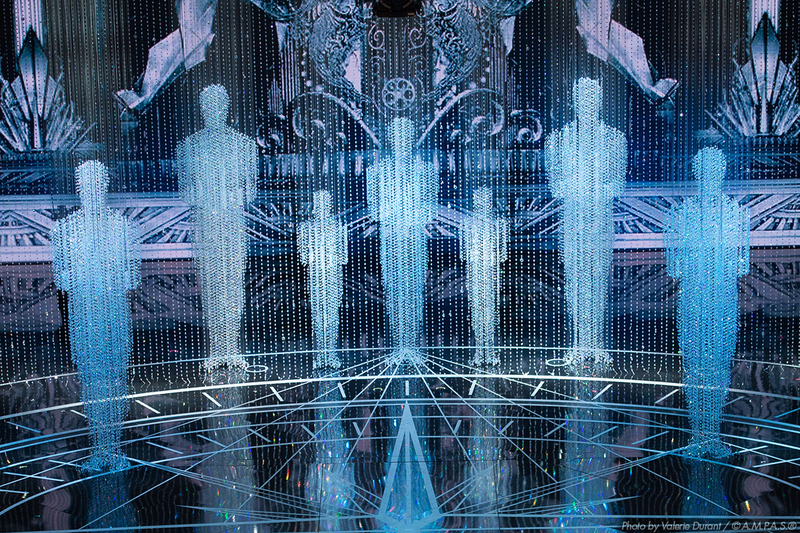 One of his favorite projects to work on is the Meet the Oscars exhibition. This year, visitors of New York City’s Grand Central Terminal were able to hold an Oscar statuette and have their picture taken with it. Prior to the Academy, Haberkamp spent 14 years at CBS. He worked his way up through the program coordination department to become manager, before being promoted to director of feature films in January 1992. With the most recent Oscar season complete, the Academy has been busy promoting, hiring and looking for a new managing communications director. On March 21, Academy CEO Dawn Hudson named Heather Cochran and Bill Kramer to two newly created senior positions as part of the Academy Museum of Motion Pictures. The Academy announced an alliance with the Los Angeles County Museum of Art (LACMA) last October to establish its movie museum in the historic May Company building, currently known as LACMA West. Cochran, elevated to Managing Director of the project, and Kramer, named managing director of development, will both report to Hudson. Involved from the beginning, Cochran will help manage and execute the museum's overall vision. She joined the Academy staff in 2004 as Museum Project Administrator. She also has shepherded the development of the Academy’s Hollywood properties, supervising the design and construction of its new outdoor amphitheater. Kramer, who started his fundraising career in 1999 at the Sundance Institute, will oversee the capital campaign and future fundraising efforts. In December, Academy President Tom Sherak announced that Walt Disney Co. President and CEO Bob Iger would serve as chairman of the capital campaign for the Academy Museum. Actress Annette Bening and actor-producer Tom Hanks were announced as co-chairs. On March 28, the Academy announced two promotions from within its organization. Scott Miller and Kimberly Roush were promoted to senior management positions. Miller, who will continue to serve as Assistant General Counsel, has also assumed the role of Managing Director of Administration, while Roush has been elevated to Managing Director of Membership and Awards. Both will report directly to COO Robertson. Miller has held the position of Assistant General Counsel since 2002, overseeing all contract negotiations, directing global trademark enforcement and providing key legal support in the production of the Academy Awards. In his new position, Miller adds responsibilities, including campaign regulations and compliance, building and theater operations, and Oscar statuette manufacture and distribution. Roush has served as Director of Membership since joining the Academy staff in 2008, managing all activities related to the global membership, including new member selection, branch committees and member communications and events, and balloting. She also supervises the coordination of the Governors Ball, as well as the Governors Awards. In her new role, Roush will oversee the seven-person awards department and its work, which includes the Academy Awards rules, Awards categories, the Scientific and Technical Awards, and the Student Academy Awards, as well as all awards-related activities within the member branches. Past job announcements include the appointment of Christina Kounelias as chief marketing officer last August. CEO Dawn Hudson and COO Ric Robertson assumed their current positions in June of 2011. The Academy is accepting applications for a new managing communications director. According to its website, the position supervises all Academy communications and "its mission to foster cooperation among the creative leadership of the film industry for cultural, educational, and technological progress." Responsibilities include "developing and executing strategic and innovative campaigns designed to generate strong positive press coverage," along with working closely with Marketing, Membership, Programming, Technology departments and Senior Management. The individual will also supervise a PR team that handles media relations for the Academy Awards and screening programs and events. The Academy is looking for someone with "at least a B.A. in Journalism or Communications-related field plus 10-15 years experience implementing effective, strategic communications plans as it relates to Corporate Communications, Entertainment, Publicity." Go here for more information and how to apply.